The Museum were formed in October 1967 out of the remnant’s of The Zany Woodruff Operation. Initially it was back to the original four members ie Gaz, The Gnome, Kyber and The Sewell. Whilst rehearsing new material The Sewell went walkabout, which concluded in him leaving the band. 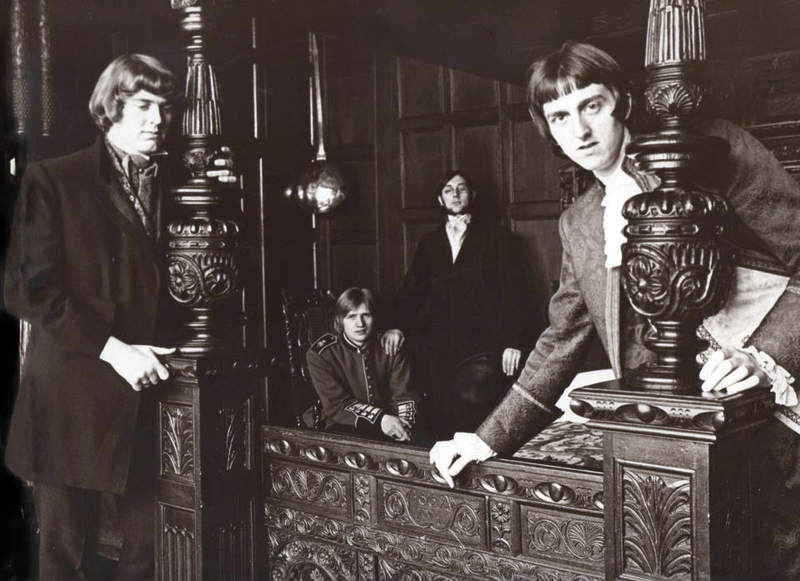 It was later established that he was not happy with the change of direction the band were going in and consequently set about forming a new band – he was joined by John ( Wints ) Wintony on Hammond organ and guitar, Stuart Reynolds on drums, Andrea Hanson was going to front the band on vocals. Pete’s replacement was a guy called Allan Holdsworth, a brilliant guitarist whose later fame needs no mention. After about a month of rehearsals The Gnome also decided to leave the band, basically because he felt that with The Sewell leaving it had changed the atmosphere and the camaraderie that had been present in the Zanies. The Gnome was soon recruited by The Sewell and immediately gave the band their name ie Storybook, but basically the reality of the breakup of the Zanies was, it was time for the four of us to move on, we each had strong personalities and it was time to become more independent musically. The Gnome’s replacement was a Scot’s guy from Elgin, Alan Rogers (aka Macthurt). Mac was a good musician who played bass guitar and sax (he was later to play in the Eden Roc with Gaz The Gnome and The Sewell). Line up: Martin ( Gaz ) Garside Drums, Graham ( Kyber ) Lockwood Hammond Organ, Alan ( Macthurt ) Rogers Bass, Alan Holdsworth Lead Guitar.